Wilsey Ham provides Professional Civil Engineering, Professional Land Surveying and Planning services to public sector and private sector clients of all sizes. 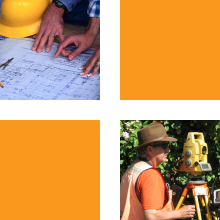 We are staffed with a talented group of licensed civil engineers and land surveyors. Our emphasis is on customer service and being attentive to our client’s needs while producing all work with accuracy and integrity. Wilsey Ham’s ability to provide a full range of services in Civil Engineering, Land Surveying and Planning within one company serves our clients with added convenience, project continuity and cost savings.